So I am a huge believer in transparency. I don’t hide the fact that if you purchase something through one of my affiliate links here on my site, I will receive commission. In fact, I appreciate the support of anyone who does so and supports me and my efforts here at Incite Fitness. I will always explain exactly how it works to anyone curious enough to ask. No it’s not some absurd amount, but it helps when I have a little bit of monetary incentive to motivate me to share my knowledge and spend time writing. However, I have stood behind the fact, and always will stand behind the fact that the only products I am willing to market are products I have personally tried, and personally enjoyed. If I dislike something in a review, I may link to it for you to decide for yourself, but I will be completely honest about hating that product. This brings me to my problem with a large majority of these so called “fitness gurus” or “fitness models” out there. You are probably wondering what exactly I’m referring to when I talk about fitness gurus hiding information from you. Well, there are lots of things that these people don’t disclose because their body is their business, and essentially has become a modern billboard for advertisement. *Disclaimer: This article is woven with some pretty opinionated stuff. Let’s go step by step to kick this off. Someone out there works on their body a great deal using whatever methods they can to sculpt their body into exactly what everyone else wants to look like. Often times these people then claim to be all natural or “healthy”. These people then gain a following on the internet by posting things that snag your attention (This is especially the case with Instagram and the fit model craze happening right now). They then begin to appeal to your wants or desires to look like them. After they have you and thousands of others hooked, this is when the fun begins. These folks are contacted by some company. This company could be some start up junk supplement company that loads up their tubs with flour and a little bit of some C4 mixture. (Companies start to contact you on social media when you get up around 10k-20k followers and you can really monetize at around 50k followers). This company then offers these people money to advertise or sell their products. These gurus and models see dollar signs and abandoned any sense of morality or honesty that they had left in their body and decide that they are now an open marketing platform. Every single post you see out of them is promoting some product. The problem with this system is that a large majority of these people don’t actually USE the product that they are marketing. Usually, they get shipped a tiny tub of the stuff, or some product marketing setup and then they take photos with it or mention it in every single thing they post. More often than not they will direct you to some link to purchase the product or offer you a 10% off code for using their name. This is usually an affiliate link or affiliate code where they receive commissions from your purchase. Pretty sweet deal right? What most don’t realize is that these people are already in fantastic shape from doing who knows what? You may not believe me, and that’s okay. You may think that some of these people may have your best interest in mind, and some of them will…I’m not denying that. However, think about this… if I took a picture of my abs, and told everyone that I had been drinking some miracle juice for months and it is the sole reasoning for my six pack, would you not then be interested in trying the stuff out? I may be doing my normal 200 inverted sit-ups and absurd amount of windshield wipers in addition to eating a very detailed and limited diet but pretending like it’s just this miracle shake. That doesn’t seem fair right? It’s not, and it’s lying, and it grinds my gears. This is just the same as all the “get rich quick” schemes out there and these fitness scams are becoming harder and harder to recognize as the market is flooded with more people with fantastic bodies who take advantage of the internet and take advantage of their following. This is what inspired me to start this site in the first place. I couldn’t get a straight answer out of any of these people and their eyes were turning dark brown as they became ever so full of it. So, in short, people gain a huge following due to their look, and then they pretend like all these different products they are paid to market or that they receive commission on for sales are what got them to that point. Let’s think about what we see every single day. The internet used to be less popular than television, and ad budgets were best utilized in order to land a spot on primetime television. With shifts over the last few years to web advertisement and social media advertisement, and the ever increasing number of internet users, the internet has become the go to source for any affective marketing campaign. Think about the last YouTube video you watched, it probably now has an ad at the beginning, the middle (if it’s long enough), and towards the end. This is ridiculous, but the reality of the world we are living in. Also consider this, Facebook and Instagram are two of the most used social media platforms in the world. With billions of users combined. Now when you look at HOW advertisement is done, think about what it is you focus on. 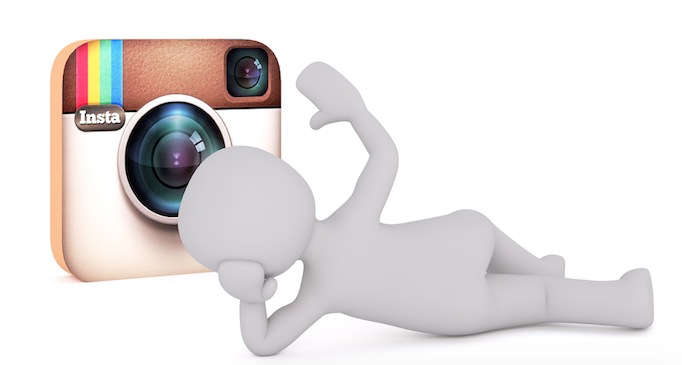 Do you pay attention to sponsored posts on Instagram or Facebook? Probably not so much. I know I scroll right past them without even batting an eye. Now think about that person that you admire on Instagram or Facebook that you have followed for two years and that has built a following of 50-100k loyal followers. If they mention a fantastic life changing product to you, aren’t you more inclined to at least entertain the idea that it may work? Most likely the answer to that last question is yes. I know because I’ve been there, I’ve listened, and usually it’s been bogus. I know this seems to be a bit of a rant but I don’t mean to deter you from trying to be healthy or trusting people that truly do care about you and your health, fitness, and nutritional goals. I am simply trying to explain that not everyone is one of these kind hearted caring persons. What I talked about above is significant only because it hopefully makes you a bit more leery of spending your hard earned money on promoted garbage. I encourage you to research these items properly before purchasing, consult as many resources as you can, and never just trust one guy or gal with a nice body. If you guys have any experience with this, have listened to anyone you shouldn’t have, or maybe have had the opposite experience please share in the comments below. P.S. Beware the MLM schemes. These are probably the worst of all of them. Appreciate your honest approach. I find most TV commercials misleading, the girl who shakes her luxurious silky hair while promoting a shampoo product, I’ll bet the product doesn’t affect a thing. I think I have seen enough to discern the truth from the lies and may I never fall into a scam ever. Thanks for sharing. Glad you know better! I think that since it’s organic, real people promoting these things people are more likely to believe it these days. Awesome that you don’t fall into their traps. Your BS meter must be off the charts! Hi there, I enjoyed reading your post. I have noticed this trend of people “using” their bodies to attract a large following of fitness enthusiasts. I totally support the aspect of promoting healthy living but when it comes to these pro bodybuilders, I mean people should see what these guys are really doing to their bodies with steroids…its ridiculous. They set the standards for what a good physique should look like as unattainable goals and kids try to emulate only to find that they have to resort to steroids themselves, putting their own health at risk. Such advertising should stop, but what are we to do? Social media advertising has become so pervasive these days its impossible to regulate it. I 100% agree. You can’t regulate these days only educate. It makes it really hard to filter out all the crap. Many of these people just cause problems for our younger generations and the people striving to look a certain way. Steroids can be a terrible rabbit hole to go down but with so much negative influence out there, more and more people are turning to it to see results. I think that advertising, in general, is pretty rude in the way it bombards us from all angles with false promises. I think as consumers we all need to be wearing our BS detecting goggles at all times and realise that if it seems to good to be true, it probably is.